The chemical industry is a central part of modern business and manufacturing. It produces a massive range of different substances that are used in almost all fields, from commercial sales to medicine. Chemical companies use raw materials such as oil, water, metals, and natural gases to produce thousands of different chemicals that are used all across the globe. Rubber and plastic make up a huge part of the chemical industry, which actually consumes a significant part of its own output. There are many different processes and technologies involved in the chemical industry, as companies must take many steps to convert raw materials into usable chemicals. They often must process and refine the raw materials to get them into a pure form. Great precision is needed; if even a small amount of the material is not entirely pure, the final product could be ruined. Measurement, then, is an extraordinarily important aspect of the industry. Finally, different substances and materials are usually put through chemical reactions that yield the desired end results. Chemicals produced by the chemical industry are placed into several different categories. Basic chemicals include chemicals and chemical products produced in great quantities and used frequently. Plastic is one example of a basic chemical; plastic products are produced around the world in very significant quantities and are used in everything from packaging to toys. 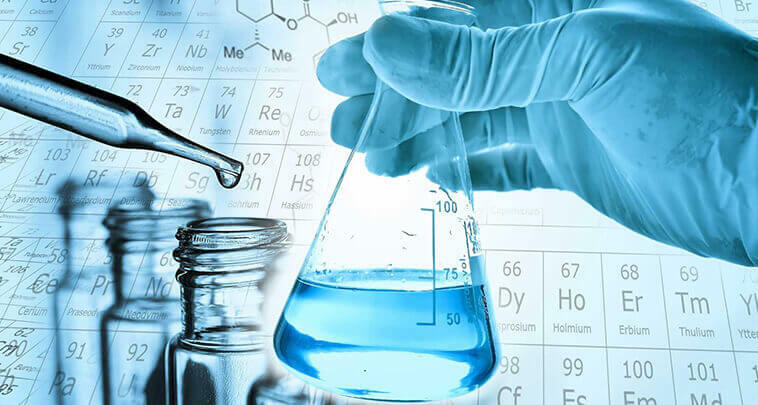 Petrochemicals, which are derived from petroleum and other hydrocarbons, and fertilizers, which are used in massive quantities by the agricultural industry, are also included in the category of basic chemicals. Specialty chemicals, often called fine chemicals, are produced by the chemical industry in smaller quantities and tend to cost far more money. They include special adhesives, electronic chemicals, industrial gases, sealants, and coatings. Life sciences make up another category of chemicals. This category includes biological products used in health industries and in crop protection. Life science chemicals tend to be quite expensive. Consumer chemicals are those chemicals produced by the chemical industry that are sold directly to consumers. These include such things as soap, detergents, and cosmetic products. The chemical industry is massive, producing at least hundreds of millions of tons of chemicals each year. It is a vital part of the modern economy, and has wide-ranging effects in a variety of other industries. Automotive, pharmaceutical, consumer manufacturing, and cosmetics companies all rely heavily on the chemical products that are produced around the clock by chemical companies around the world.